Green SoCal: What is District Energy? More than 120 business, labor and environmental groups have teamed up to support legislation that provides investment tax credits for combined heat and power and other energy recycling techniques. The House Ways and Means Committee has included them in their draft energy tax package, and Sens. Bingaman (D-NM) and Snowe (R-ME) have their own bill in the Senate. The point is for America to become more energy efficient, which not only helps the planet, but will help American manufacturers slash their energy costs, so it's great for the economy, too. 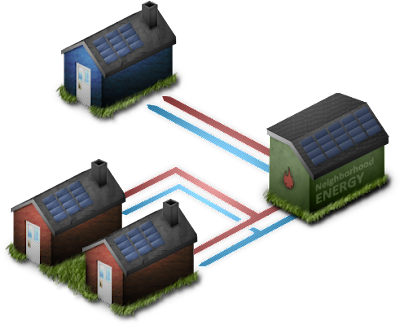 For more information go to http://www.recycled-energy.com/.